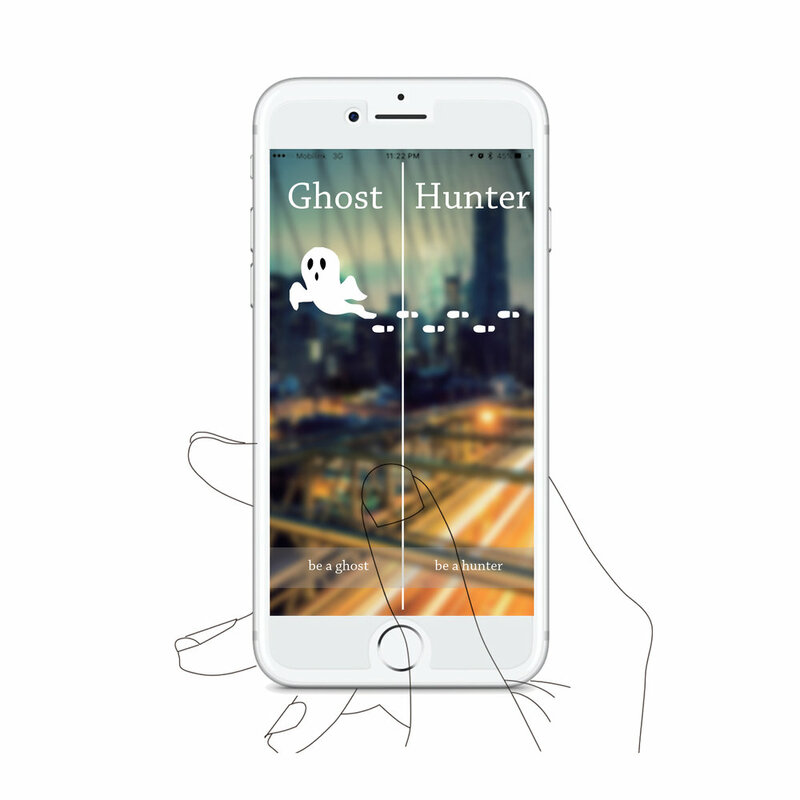 The Ghost Hunter APP encourages people to socialize trough location-based quiz, which were created by previous visiters, AKA the Ghost. By completing the quiz of the ghost, the "Hunter" learn about the place with richer details, gain the coupon from the sponsor on the location, surround himself with city memory baked in the app in the form of photos and comments. As the user answers the questions, the app will unlock more hints for next quiz, shrink the radius of map circle to help locate the place with greater ease. 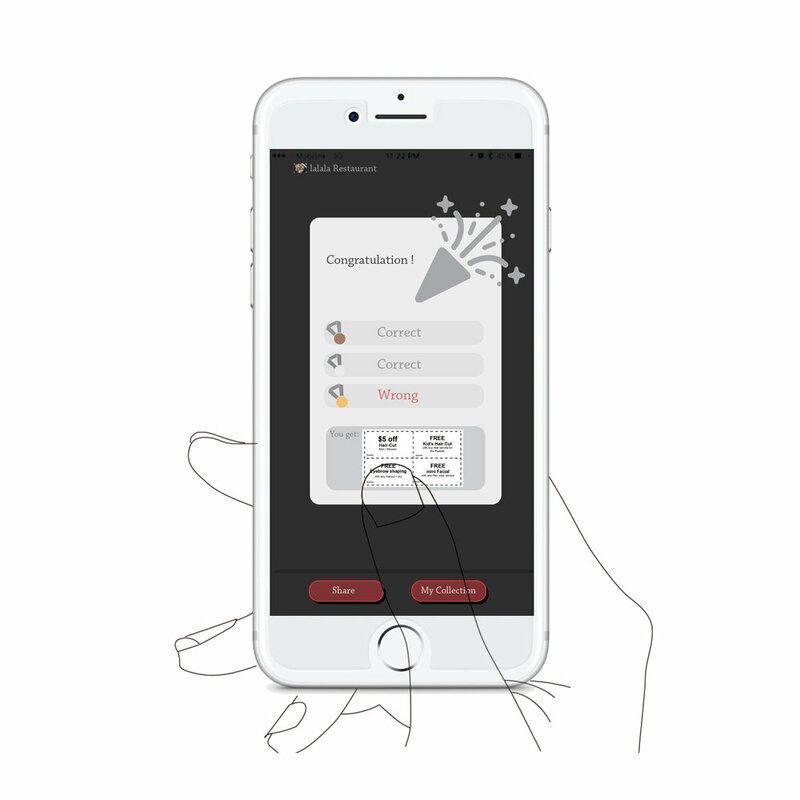 By winning catastrophic trophy such as food ninja, bar master and shopping terminator, the user could share that achievement to the social media. The trophy is the coupon, and it will be a free ads incentive for the sponsors and the money saving incentive for the players. Nancy turns 30 today, she wants to leave a piece of memory for her son where his mom used to walk in the city. Nancy takes photos and in specific location and that become a secrete between she and her son. She uses timer marker to take photo and takes notes after the photo, writing: talk to his bars owner, he is very nice and you should try the peanut cocktail. Her son will have to be 21 to drink, that is 20 years from today.